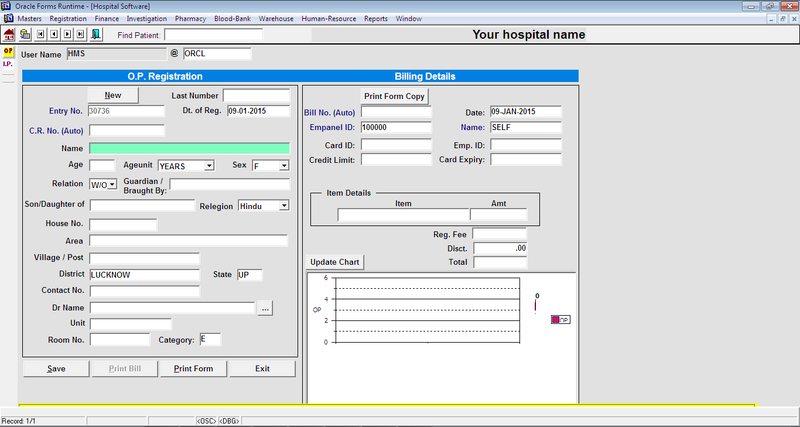 I already posted about my Hospital Management Software based on Oracle Forms, and now I am giving an option for users to buy its OPD and IPD Registration part with billing system, I extracted a part of this software so that users can buy easily at a low price and if they satisfied then they can buy the whole software. 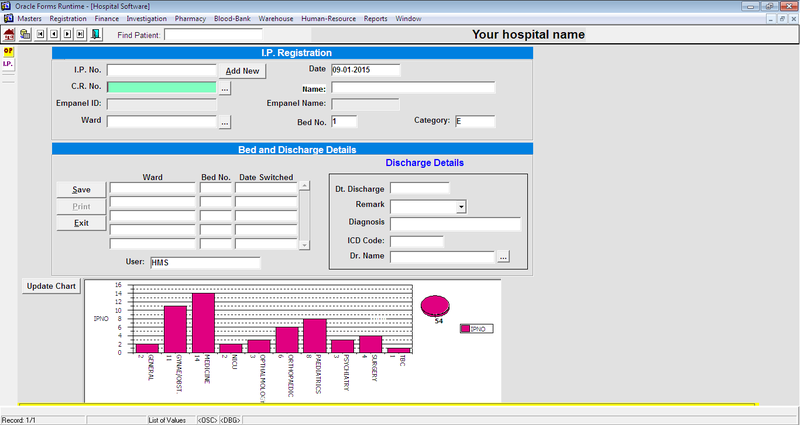 This OPD & IPD registration and billing software can be used in Hospitals, nursing homes, etc. to maintain OPD (Outdoor patient registration) and IPD (Indoor patient registration) records and their billing information. An installation guide readme.txt file and forms related files and database dump are available in this project. 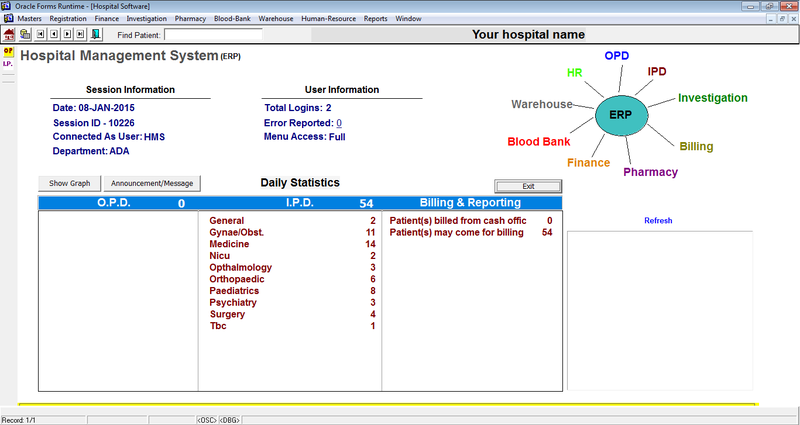 How to Import Database Dump hospital.dmp File? The below is the import (imp) command example to import dump file in Oracle Database. Change the file location with yours and change the touser to your Oracle database schema/user. Also, change the userid with your database credentials. Do not change the fromuser=hms. Amazing software thanks for sharing.